“Virtues are firm attitudes, stable dispositions, habitual perfections of Intellect and Will that govern our actions, order our passions and guide our conduct according to reason and faith. They make possible ease, self-mastery, and joy in leading a morally good life. The virtuous man is he who freely practices the good” (CCC 1804). The four “cardinal virtues” are prudence, justice, fortitude and temperance (CCC 1805). Prudence is the “charioteer of the virtues” for it guides the other virtues to make moral decisions to do the good (CCC 1806), consistent with God’s Will (CCC 1787). St. Thomas Aquinas sums up Prudence as “right reason in action”: the ultimate “right” must be aimed at the Truth of God; well-formed “reason” requires Man’s Intellect to have deep knowledge of the Word (i.e. the Logos, also meaning “reason”) who is Jesus Christ; for fallen Man’s Will to take the correct “action” requires the constant reliance on Grace of the Sacraments and the acceptance of the Holy Spirit. Jesus Christ, fully God and fully Man (CCC 464), demonstrates perfect Prudence. With God from the beginning (John 1:1), the prudent plan of Man’s salvation described in the Old Testament is fully revealed by Jesus Christ in the New Testament (CCC 134). Jesus is the perfection of “right reason in action” is Man’s model in all things (CCC 1694). Knows the Father in an intimate, direct and exclusive way – “No one knows the Son except the Father and no one knows the Father except the Son and anyone to whom the Son chooses to reveal Him” (Matt 11:27; John 1:18; 3:11; 6:46). Demonstrates that the Father’s Will is the ultimate “right” – Jesus shows how one can beat the devils’ temptations through His complete obedience to God’s Will: “Jesus is the new Adam who… (is) totally obedient to the Divine Will. In this, Jesus is the devil’s conqueror… Jesus’ victory over the tempter in the desert anticipates victory at the Passion, the supreme act of obedience of His filial love for the Father” (CCC 539). In the Garden, Jesus says, “Not my will, but thine, be done” (Luke 22:42). Is the personification of right “reason” – Jesus Christ is Wisdom personified (Isa 55:10-11), given to Man (1 Cor 1:30) and is the “one, perfect and unsurpassable Word. In Him, He has said everything; there will be no other word than this one” (CCC 65; Heb 1:1-2); only Jesus is the divinely reliable Truth (John 14:6) which He comes to reveal to Man (CCC 473-474). Gives Man His perfect “reason” in the Scriptures – As the Source of Scripture, Christ demonstrates an encyclopedic knowledge of Scripture, referring to about 80 Old Testament passages from 24 of 39 OT books, which He uses to rebuke Satan (Matt 4:1-11) and various religious challengers across a wide variety of doctrines (cf. Mark 10:2, 12:28; Luke 11:15, 14:1, 20:20, 20:32). In the NT, Jesus Christ leaves a comprehensive primer on right “reason”; examples include the wisdom of Sermon on the Mount (Matt 5-7), reaffirms the inerrancy of the Law/10 Commandments (Matt 5:17-20), the teaching about prudently assessing the cost of discipleship (Luke 14:22-38) and the parable of The 10 Bridesmaids (Matt 25:1-13). 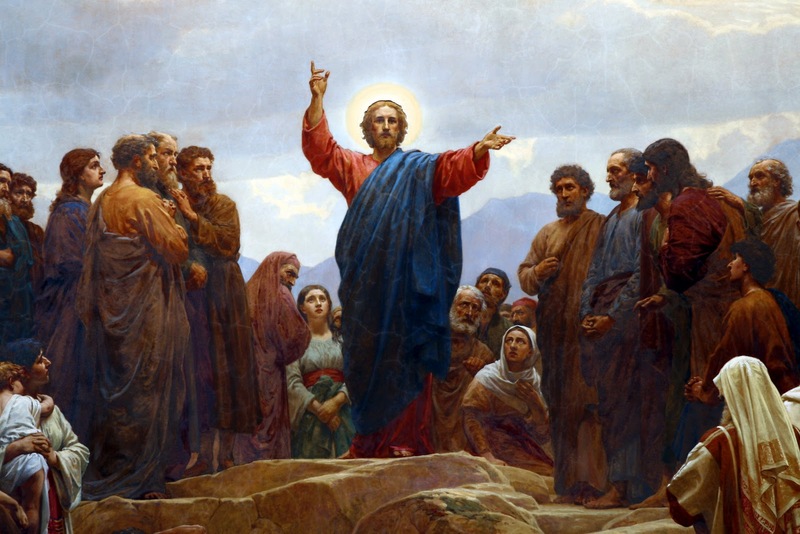 Inspires the Magisterium to guide Man’s reason ­– Jesus anticipates heresy, saying, “many false prophets will rise and seduce the many” (Matt 24:11, 23-26). To protect against heresy, Jesus established the Church on the rock of Peter (Matt 16:18) and the Magisterium ensures that the Truth of Jesus is faithfully and accurately passed on today (CCC 88); the Church is the sure depository of Christ’s Truth (CCC 85). The Catechism of the Catholic Church is the distillation of the Church’s 2000 years of reflections on the revelation of Christ given to guide Man’s reason and instruct conscience (CCC 50) in the 4 Pillars of the Catechism: Creed, Sacraments, Moral Life and Prayer. Lives inside those who believe in His Name – Christians must believe that Jesus is the Son of God (Acts 8:37; 1 John 2:23) and invite Jesus into one’s life by invoking His Sacred Name (John 16:23; Phil 2:10; Rom 10:13; Acts 2:21, 3:16). For those who embrace His Cross, Jesus Christ gives Himself personally, living in each (Gal 2:20; CCC 521). Jesus Christ acts in those who embrace Him. Sends the Holy Spirit – Jesus promises to send the Holy Spirit before His Passion (John 14:26), sends the Holy Spirit at Pentecost (Acts 2:1-4) to work within the Church (Acts 4:29-21, 13:1-3, 16:6-10). Jesus also continues to intercede for Man by assuring a permanent outpouring of the Holy Spirit (CCC 667), giving actual graces to assist Man’s actions in conversion and sanctification (CCC 2000). Endows the Church with the Sacraments – In the age of the Holy Spirit, Christ endows the Church with the Sacraments (CCC 1076). In Baptism, Christ gives sanctifying Grace, which gives Man a permanent disposition to take action consistent with God’s call to holiness (CCC 2000). Jesus Christ is present in the Eucharist at every single Mass: “the whole Christ is truly, really and substantially contained [in the Eucharist]” (CCC 1374).